British lifestyle and cooking blogger Kezia Eniang discusses the healing power of cooking. 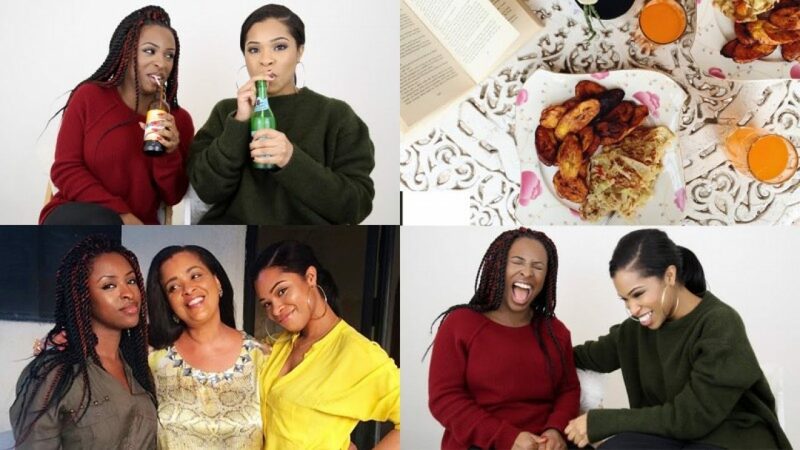 British lifestyle and cooking blogger Kezia Eniang is known for her Youtube Channel Kezia Eniang and blog: Kezia’s Kookbook. On these platforms, Eniang shares delicious and scrumptious recipes from Africa and around the world. In this interview, Kezia discusses the healing power of cooking, her cooking influences and why you should start cooking now. Habiba Abudu (HA) : What are some of your earliest memories of cooking? Kezia Eniang (KE) : When I was 6, my siblings and I loved helping my grandma pound fufu in a very large wooden pestle and mortar. Fufu is a staple African food often made with green plantain flour and cassava. We’d put our hands together and pound the cooked plantains and cassava until it turned into this beautiful soft dough. However, I didn’t hone my cooking skills until my first year of university. I would cook for my friends and flatmates. I loved using the recipes that my mom taught me on guests. The first thing I made in university was jollof rice and it turned out terrible. The rice was mushy and the sauce wasn’t cooked properly. I called my mom crying at how it turned out. I was sad as I missed my mom’s cooking and my failed attempt at jollof rice made me miss home even more. Over time, I got the hang of it. HA : What cultures and personalities influenced your cooking style? KE : I cook with a global mindset influenced by the likes of Ghanaian, Nigerian and British culture. I was born in London, England and grew up in Lagos, Nigeria and Accra, Ghana. My dad’s Nigerian, my mother is Ghanaian and Canadian. I was exposed to all these cultures. I learned to cook both traditional Nigerian and Ghanaian cuisine. My mother loved to cook and would often enlist me to help her. I used to watch her methods and applications in the kitchen. Watching my mom cook got me thinking about how I could add my own spin to dishes and recipes. HA : How has cooking been a source of therapy for you? KE : Cooking is a creative outlet that has helped me build my confidence. I’ve learned to go with the flow and trust my instincts. When I cook, I fully submerge myself in the process: chopping, tasting and stirring. It helps take your mind off of things. Whenever I have a stressful day or week, I like to unwind by pouring myself a glass of wine and make a simple dish like creamy pasta with some music playing in the background. HA : You traveled to some interesting places in the pursuit of good food. What were some of your favorite destinations for food? Which places do you hope to visit in the future? KE : In the heart of Amsterdam, I had what I believe is the best chocolate chip muffin from a bakery. Kiruna, Sweden was also amazing. I instantly fell in love with the food in Sweden, the food was so flavorsome. In Sweden, I had reindeer and that was pretty good. Accra, Ghana, and Lagos, Nigeria are also favorites of mine as there are many amazing places to eat out and a lot of the food is organic. Places I would love to visit: New York for Pizza, Rome or Sicily for pasta, LA for healthy vegan food and South Korea for authentic Korean food. I just love experiencing new cultures and one of the best ways to do this is through food. HA : What do you hope that people will take from your recipes, blog, and channel? KE : I just want my readers to be able to relate to me and the food I make. It’s been a great outlet for me creatively and I want to inspire people to embrace cooking and try different foods. HA : What advice would you give to those who want to start cooking? KE : Embrace it and have fun. Cooking is often perceived as hard or time-consuming, but it can be incredibly fun. Buy a cookbook or watch tutorials of some of your favorite meals. Once you make a dish, you get a burst of confidence which I think is really important. Keep cooking. The beauty of cooking is that you are always learning, I know I still am. I make mistakes, a lot, but I love learning and improving my skills. Originally published on The Pavlovic Today.